Recently, I received a question about Cargo. I have definitely noticed a rise in the trend for women, but it is the men who have been rocking this look for decades. As I have seen many styles popping up in stores and online, the most important thing to understand when wearing cargo is how NOT to wear it. This applies more however to women and how they choose to wear it. 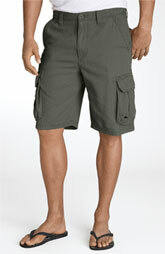 With guys, it’s hard to go wrong, Cargo is a great style and can be switched up with just the change of a shirt. Men are simple- It is okay if you find a pair that fits well, buy them in every color. This makes your life easier and in the end will make you look more put together. You will also feel comfortable and good about yourself if you are dressed properly. The biggest thing you all should know when wearing cargo is that it is kind of like tube tops for women, in that; based on your body type there are certain fashion guidelines you should follow for your own good. I mean, come on- these tips aren’t to put you down about what shape you have or tell you how to dress, they are meant to help you FLATTER your figure. For example, although I appear taller than I really am, my legs are like breadsticks, they are short, and there is no way on earth I would be able to rock CARGO Skinny Jeans. They would first of all bring attention to my short stubs I use as legs and that would in turn take away from my midsection which is tiny, the part of my body I try to flaunt. So, with that said; for men Cargo is almost part of a man’s wardrobe foundation, wear it with a simple T-shirt when you take your dog to the park, or pair it with a white collared polo when you go to lunch with your girl or parents. The easiest way to pair your shoes correctly is to simply pair them with your shirt alone. Obviously you wouldn’t wear sandals with a collared button down and it would look pretty silly if you wore your Fruit of the Loom V-neck with your nice loafers. It’s all in contrast. Now, previously I was referring to Cargo SHORTS. When it comes to Cargo pants, I am not down. When I think or see a guy in Cargo pants, I assume one of two things- either; he is still wearing his wardrobe from 1975, or there was a special 2-for-1 sale going on at Ross. You don’t have to have a million dollar wardrobe to look good. Heck, I bought my dad and brother the same nice plaid shorts by O’neill from Costco for $20 and they wear them more than anything else in their closet. 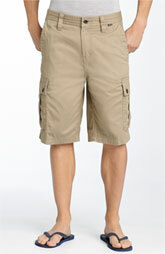 So, other than Cargo pants for men being uber cheesy, another bust is the Cargo pants that zips at the kneecaps. DO NOT, I repeat… Do do do NOT not not wear these, they are off limits. When America is counted as a third world country is the only day you will be able to wear these. Highly doubtful this will happen in the next century, so toss them if you have them stored in your closet hoping they’ll make a comeback. Yes, you can unzip them if the temperature changes a drastic 20 degrees, but the aftermath is obviously not worth it considering you will probably unzip them at your kneecaps then carry around half your pants for the rest of the day looking like a tourist in San Francisco. It’s even worse when you wear your half zipped cargo’s to Disneyland and bring the bottom part in your pocket to zip on later when it gets cold…. Unacceptable- It’s called a sweatshirt. 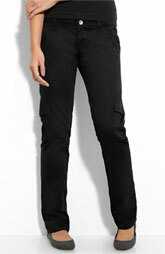 For Ladies, cargo is a little trickier. First of all, cargo rides better on certain body types than others. 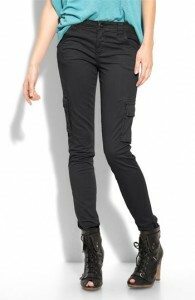 What I have noticed most is how cargo looks best on ladies that have a very small frame. 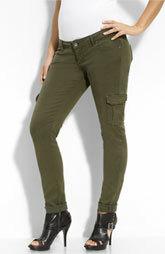 That does not mean model skinny, cargo looks ideal on girls that are small and on the shorter side. Cargo also looks good on women that have longer legs. There are many different kinds of cargo for women besides the items I found pictured below, such as skinny jeans, capri pants, shorts, skirts etc. Women tend to know their bodies a little better than men so I am not as worried, however, below the pictures of the adorable cargos I found are a few pictures of the styles to look out for and make sure you don’t come within a miles distance of these trend mishaps. If you're going to wear cargo pants ladies, wear them with heels, this just looks like you tried not to look like such a slob when you were running errands. Plus men like their women to look like girls, these will make you look more like a man if you don't boost them with heels. 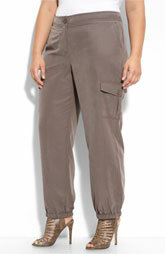 Either wear light stone colored pants or wear cargo pants, but don't wear both. I don't know where you would be going in these but they look cheap and out of place... at any event. These are supposed to be "plus" size cargo's, but this just emphasizes what I wrote about making sure cargo is right for your body type. If you are a plus size, you'd be better sticking with pants with pleats in the front, which makes you appear to have longer lengthier legs, rather than stubby and round. Probably one of the worst ways to wear cargo. Do not ever let your pants come down at a rounded V by your Vajayjay. This will only enhance the size of your stomach, and make your feminine traits appear more like male ones. This even applies to those of you who have flat stomachs. If you have a flat stomach, the cutoff shirts that are in right now would be slammin' with these. Guys! Shants are only popular in Europe. This trend was started years ago and the fact that it still has not made its way officially to the US is for a reason. Do not wear these. 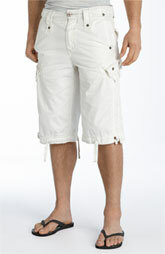 Women, unless you like your men looking like Gilligan's Island fishermen, do not allow them to wear these.